Chances are, those teachers you remember most fondly were the ones who did a pretty simple thing: showed care and actually saw you for you. Caring doesn’t just mean being nice. It is so much more. It is being the person, model or voice others might need to do or be their best. (And yes, sometimes this will be yourself). At primary school, I only had one teacher who stood out in this way to me, however I was so lucky to have multiple people who cared and saw me for me during high school. Most of the time this meant they knew I was more focused on socialising or generally trying to get away with doing the minimum amount of work that would still bring back a good enough grade. Having those people during those years of high school was critical for me. They made the effort to get to know me, share a bit of themselves and see what I could do. They focused on building a connection and trust. Once they had that, then came that next critical step. As great teachers and leaders, each of them showed their care by challenging, supporting and, importantly, pushing me to stretch and discover what I could really do. It didn’t matter which subject they taught within – Literature, Maths, Visual Communication & Design, Studio Arts, or as my House Tutor (like a homeroom teacher). Each of them used moments, and pieces of work, where I showed my potential as opportunities to present their case of what was possible if I directed my effort into the right direction…and not into a sweet game of snake on my Nokia 3210, listening to some sweet, sweet Limp Bizkit through Napster (hey, no judgment) or finding out details about the next upcoming house party/gathering (did we seriously call them gatherings?). When does it move from a gathering to a party?! (We all know it’s after 13 people, right? Since I have moved from high school student to teacher I’ve realised how lucky I am to have had people like this within my life as a student. Is this a similar experience to you? How did your best teachers show they cared and actually knew you? That question is an important one because all of this can sound great, but how can we start doing this? It’s incredibly simple. And complex. Start by talking to people, asking them questions and actually listening to what they’re saying. Give them opportunities to share what they are thinking, doing or working on. As a dad I do this with my two year old. I’ll ask her what she’s up to when we’re hanging out or playing in the morning and then I just shut up, listen and watch. If I was teaching I would choose an activity that would both allow kids to talk AND require concentration – mindful colouring, orienteering, shooting hoops, designing a class logo, playing a maths card game. Chat about the game, ask questions about them, share a joke, just enjoy the game whilst chatting and listening. (Want to focus on building some instant rapport with a whole class? Try a game like Greedy Pig, throw down a challenge to the group that they can’t beat you. Unifies the group, you get to be a little silly – or better yet, you lose and appear human). If you see your kids out and about on the yard, drop in one question about something they mentioned during the game (and make sure to actually listen AND hear their answer). Over time (which varies on people and groups…hence, the ‘complex’ part), you will get to a point where you’re trusted as a leader of the room and as a person. You’ve made the connection. You’ve established you care. From here on, you’ve got the opportunity to deepen that care and have been given the green light to help those kids stretch and do more than they thought they could. Great teachers and leaders do this by telling you they’re in your corner, even when you’re not. They remind you that you’re in this together and that they’re not going anywhere, even when you might want them to. (Which was said to me, and has been used multiple times with multiple kids and adults since I was 16). They choose to show care by getting to know those around them, so they can push them in the right directions when it is eventually needed. Whilst we won’t ever do this perfectly, choosing to start has more positive effects than never starting. The question that’s the most exciting is, who will you start with tomorrow? Enjoyed this post? Keep them coming by subscribing to get our best stories and insights straight to you! 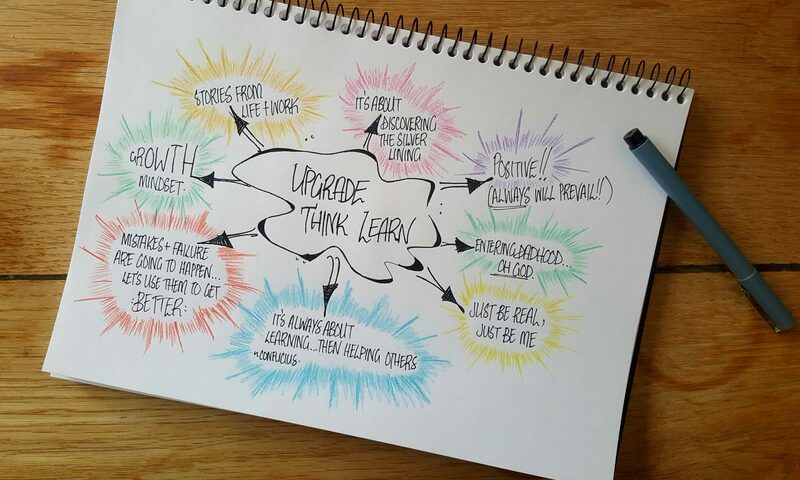 Don’t forget, you can listen to the Upgrade Think Learn podcast on Apple Podcasts and Spotify) to get some incredible tips from amazing teachers! Previous PostPrevious Setting Ourselves Up for Success: Get Rid of Things that Don’t Really Matter.